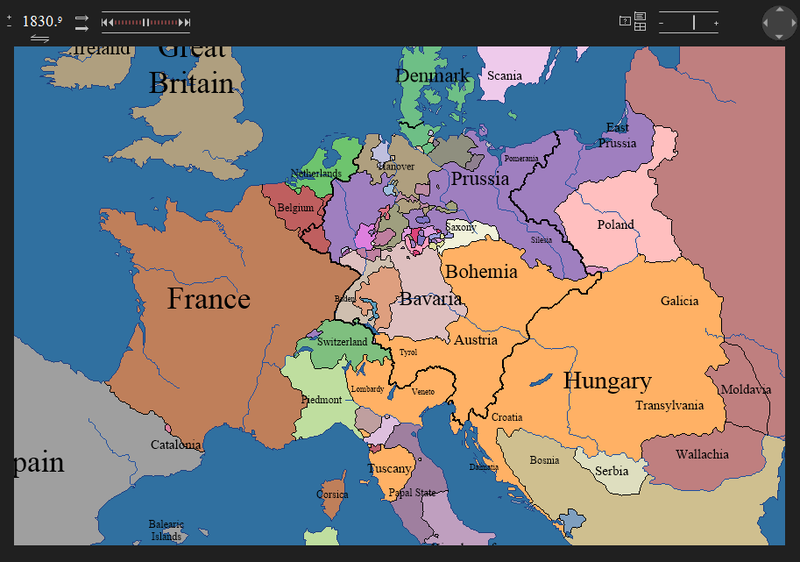 The Centennia Historical Atlas is a map-based guide to the history of Europe and the Middle East from the beginning of the 11th century through the early 21st century. 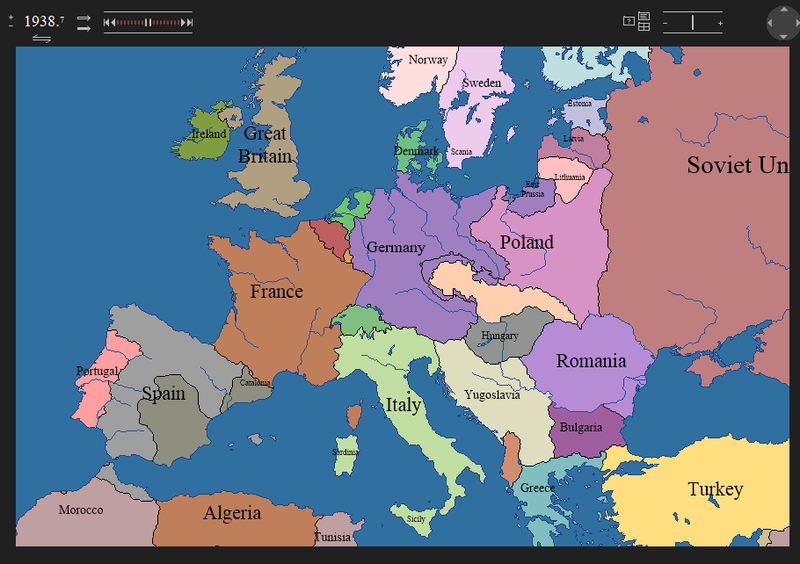 It is a dynamic, animated historical atlas including over 9,000 border changes. The map controls evolve the map forward or backward in time bringing the static map to life. Our maps display every major war and territorial conflict displaying the status of each region at intervals of a tenth of a year. The maps reflect actual "power on the ground" rather than internationally-sanctioned or "recognized" borders. Centennia is primarily targeted at students and scholars in secondary school (high school) and at the undergraduate college level who are looking for a broad overview of European and Mediterranean/Mideast History. It's ideal for homeschool students. 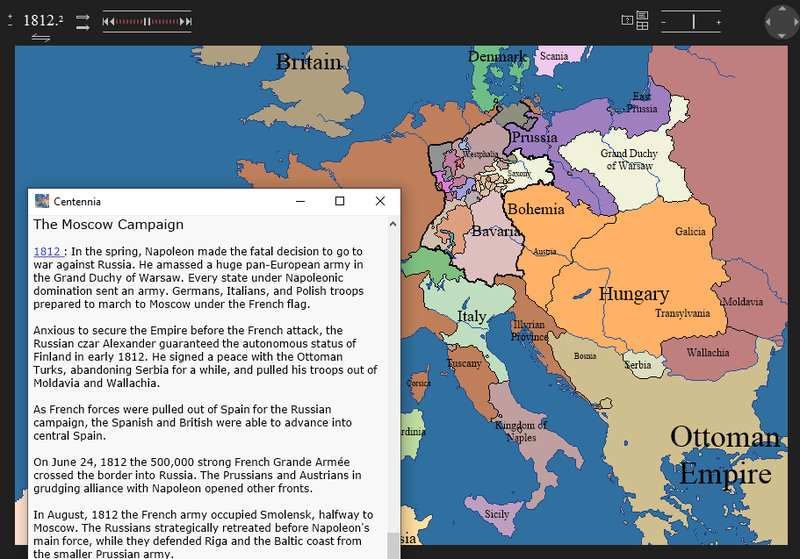 Researchers in history and political science also benefit from Centennia's broad and detailed coverage of events. Unlike many other historical atlases, ours provides a perspective that is relatively uniform across time and cultures. While there is no possible purely objective viewpoint in world history, even in theory, we apply the same standards of sovereignty and border definition in the Balkans in the 15th century that we use in modern North Africa in the 20th century or medieval France in the 12th century. For serious research, complete access to our database in GIS format is now available through the Centennia Research Edition (CRE). Centennia covers the history of Europe and the Middle East across ten centuries. Empires and nations rise and fall... Collections of small principalities and duchies in central Europe evolve to become the nations we know today. 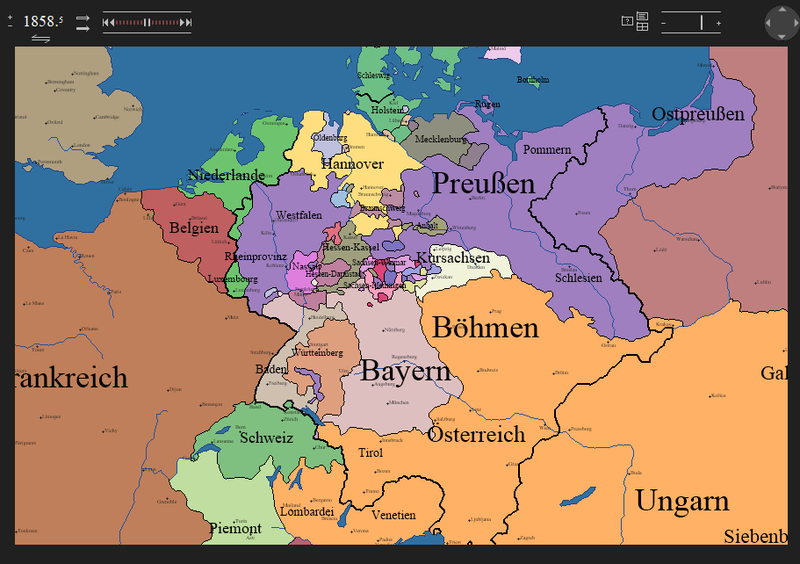 The FREE version of the Centennia Historical Atlas -- Centennia Nations Edition specifically covers the rise of modern nation-states including, including the unificaton of Italy and Germany, and the eventual catastrophic wars that the nation-state system contributed to in the 20th century. Centennnia is available in German and Greek translations. The German edition, Centennia Geschichstatlas, is approximately 97% translated, while the Greek edition is approximately 98% translated. We are looking for volunteers to help complete the translations. You'll be listed in the credits of every copy if you make a significant contribution. The Centennia Atlas originated as a small project known as Millennium, marketed by Clockwork Software in Chicago, Illinois. 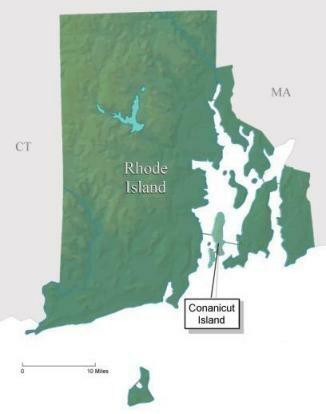 Centennia, the former Millennium, was created and developed by Frank Reed. Clockwork Mapping is the legal successor to Clockwork Software. All copyright and other rights are owned by Clockwork Mapping, solely-owned by Frank Reed. Please note that any videos or other media created with our atlas without explicit permission violate our copyright.